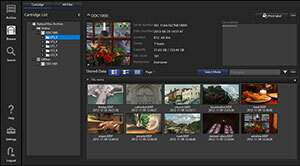 Content management software designed for the Optical Disc Archive System Content Manager. Archiving audio-visual material to shelf-managed Optical Disc Cartridges. 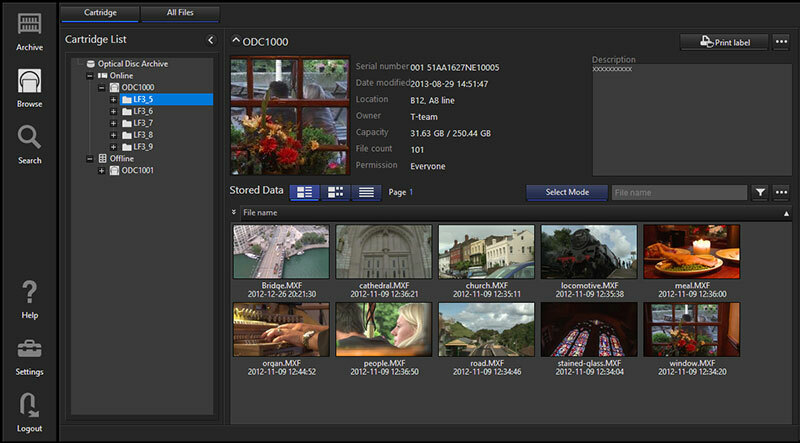 Browsing, searching and retrieving archived contents. Offline cartridge management (including printing labels). Proxy video and thumbnail generation for browsing and searching of shelf-managed Optical Disc Cartridges. Advanced search using speech-to-text script and/or face-recognition data.